Think immersive storytelling is all videos and games? Think again! This immersive showcase features interactive art that is reinventing the way we tell stories and experience art. Become the catalyst and the creator. Your interaction with these pieces will define what they are. Play in the rain and snow indoors, make a sandbox of lights come to life, see hidden stories play out that no one else can see, create your own virtual worlds, paintings and animations! WALK-UP ADMISSION TO NFFTYx 2018 IS FREE! Witness Charity Everett’s project “Go Back Fetch It” - a uniquely styled augmented reality story experience that makes a commentary about the origins and evolution of communication, storytelling, technology, and the human race. “Go Back Fetch It” has revolutionized storytelling in augmented reality by pairing traditional storytelling techniques, bleeding edge technology, history, data visualization, and interactivity to create a fully fleshed out and stylized narrative art art edutainment episodic piece. This project has been featured at MIT, Harvard, The Institute of Contemporary Art, and was invited to apply to the Sundance Film Festival in the New Frontier category. 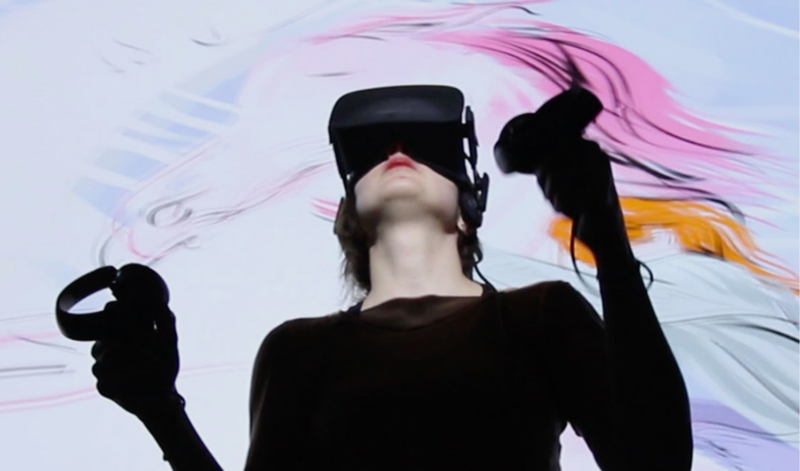 Express yourself and experience paintings and animation like you have never seen before! Paint with rich colors, watercolors, pencil, oil painting and more! Not an artist? No problem! Non-creators can experience amazing pre-created illustrations. This is unlike any sandbox you've played in before. Play with real sand and see lights and landscapes magically come to life! Have you ever seen a wall painting come to life? Well, this is your chance. Experience the power and mystery of augmented reality mixed with light effects and create your own impact on the movement of the art.